It is a monument of Spanish Historical Heritage, for its historical and artistic aspects. 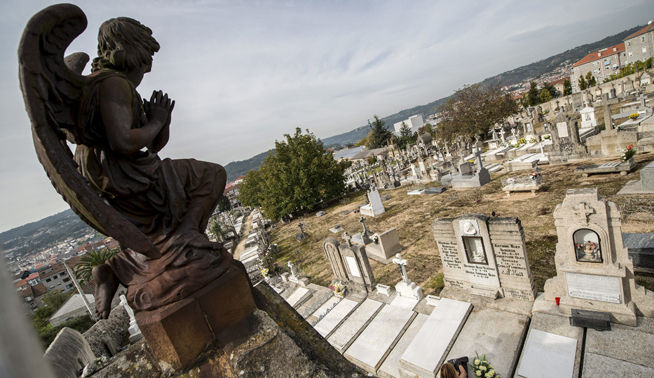 Within the city of Ourense there are three distinct cemeteries. There is the Cemetery of As Caldas, in the neighborhood of A Ponte, which formerly housed the tombs of the town of Ponte Canedo which later merged with Ourense; the Cemetery of Saint Mariña, which is the most modern; and that of Saint Francis. We are talking about the most historical and monumental of these three municipal cemeteries. 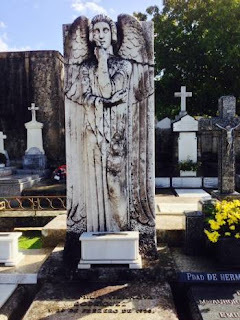 One of the most valued aspects in the long history of the Cemetery of Saint Francis is its location. It is located on one of the slopes of the treasured Montealegre in the eastern part of the city and, before the construction of many modern buildings, offered a spectacular view overlooking the old part of the city. Besides its privileged prospective overlooking the city, the cemetery contains many highly valued features of the time in which it was designed and created. The natural slope upon which it rests prevents any standing water and humidity from causing damage and also provides excellent ventilation to avoid any potential accumulation of odors. Its location also provides almost permanent natural light from dawn till dusk that is filled with the scents of the old laurel and cypress trees that surround the cemetery. This, along with the beauty of its iconic old crosses and secret corners proliferates a feeling of perfect artistic harmony across the many cultures represented here. We must emphasize the historical and artistic value that has been acquired and earned over time. This led to the declaration of Cultural Interest received by the administration in the year 2000. This classification recognizes movable properties, outstanding properties and intangible items of cultural heritage in Galicia, declared by decree, by the Galician Regional Government. This declaration determines and ensures the correct conservation methods of the protected property, in this case the Cemetery of Saint Francis, so that non-compliance with the proper conservation practices would result in the withdrawal of the recognition. The development of the cemetery spans the whole of its almost two centuries of history. Originally located on the rural outskirts of the old town, the cemetery now sits in the center of town as years passed and the city grew up around it on all four sides. Since its proposed creation, nearly two centuries ago (1812), and its official opening in 1834 there have been approximately 50,000 people buried within its facilities. 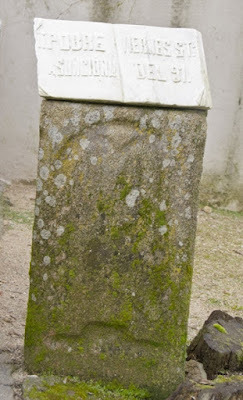 Here we can assume lie the remains of relatives of much of the population of the city of Ourense. Among them are many of the illustrious, well-known people who have contributed great works to our community in the fields of science, literature, arts, and culture. 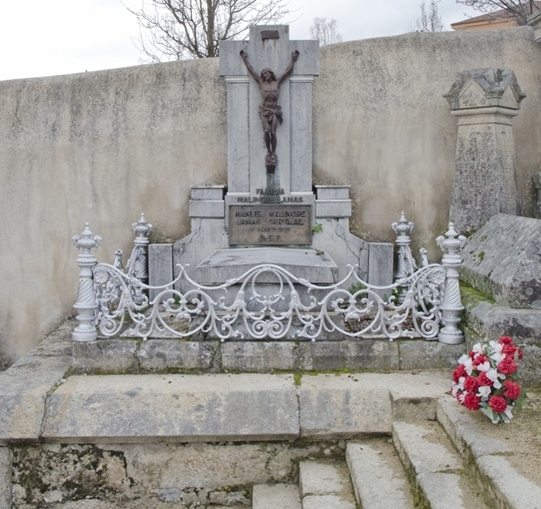 The Cemetery of Saint Francis is a very loved and well-respected place. So much so that, 2 decades ago when there was talk of closing down the cemetery, the public responded strongly. 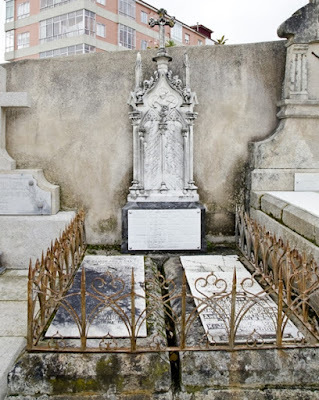 They created a group called The Association of Friends of the Cemetery of Saint Francis, whose honorary president was the distinguished professor, writer and poet José Ángel Valente. Through their efforts the idea of closure was abandoned and the cemetery was allowed to remain open at full capacity and to this day is a place of great honor and history for Ourense and all of its inhabitants. 1. Sculptor: Victorio Macho, 1887-1966. Internationally renowned sculptor. He was born in Palencia, and here, he received his first artistic training. He studied at the School of Fine Arts in Madrid. Besides being a sculptor, he was also a draftsman and painter. Work: “Ángel pensativo” (“PensiveAngel”). Done in white marble, this sculpture is in the pantheon of the Rodríguez Vilanova family and is signed by the author. 2. Sculptor: Antonio Failde Gago, 1907-1979. He was one of the most important Galician sculptors of the twentieth century. From childhood he apprenticed with a master stonemason, and later in the workshops of Núñez and Pineiro. He later studied at the School of Arts and Craftsmanship in Ourense. 3. 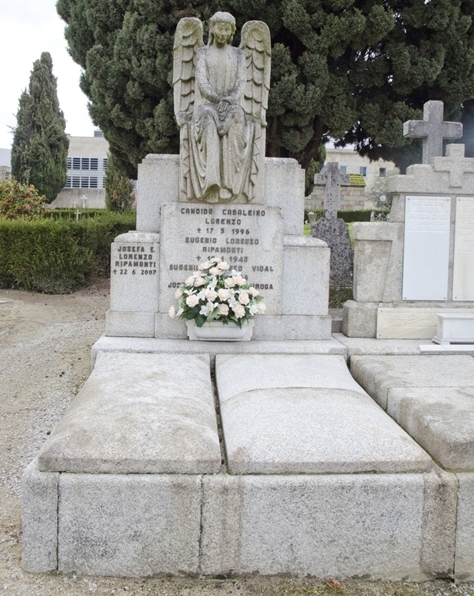 Sculptor: Francisco Piñeiro Reigosa, 1857-1926. Sculptor and stonemason. Originally from Pontevedra, he set up his workshop on Bedoya Street in Ourense and then later on Desengaño Street. Work: “Pobre Asunción”( "Poor Assumption"). This work is an inscribed book, made of white marble. 4. Sculptor: Francisco Piñeiro Reigosa, 1857-1926. Sculptor and stonemason. Originally from Pontevedra, he set up his workshop on Bedoya Street in Ourense and then later on Desengaño Street. 5. Artists: Manuel Malingre Parmantier, 1834-1916, Manuel Malingre Ludeña, 1872-1930 y Manuel Malingre Lamas , 1902-1979 Three generations of smelters who founded the company Malingre created for Malingre Parmantier from Souvrait (Belgium) in 1849. They were teachers and great artists in the field of ironworks. Work: “Cristo crucificado, placa y verja” (Christ crucified, plate and fence). This work was done in iron and is in the pantheon of the Malingre family.